B Vitamins help convert food into energy, are necessary for formation of healthy red blood cells, are involved in the maintenance of skin and hair, and help maintain normal functioning of the nervous system. 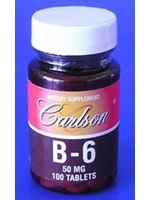 All the B Vitamins are water soluble and not retained in the body for long periods of time. Purchase this product now and earn 2,237 Reward Points!